You wouldn’t happen to be looking for a show-stopping, mouth-watering, talk of the party kind of cake, would you? Because if you are, you have come to the right place! 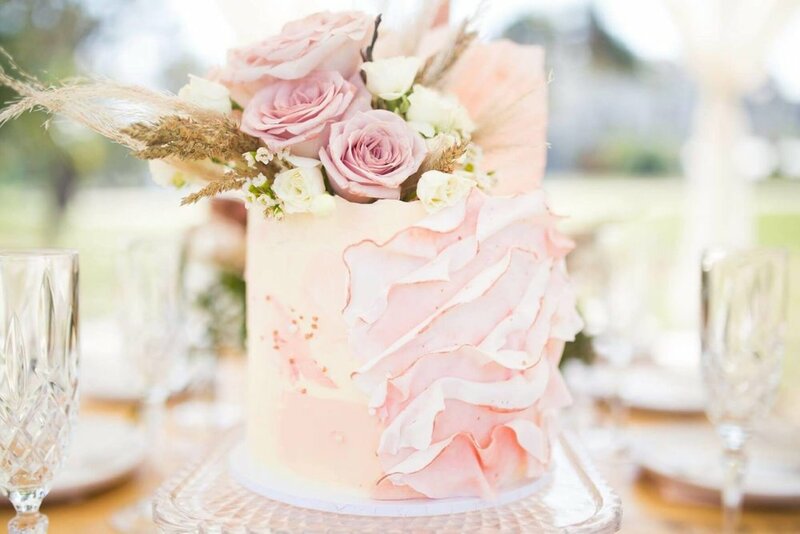 Milk and Honey Cake Creative is here to bring all of your cakey dreams to life. Blessing your taste buds and delighting your eyes; we create cakes which will have your guests saying ‘it’s too pretty to eat!’ at first, but before long are grabbing a cheeky second slice. The birthday cake became the focal point and was made to such absolute perfection that even the inside layers of the cake matched the other styling details. The New And Exciting ‘Sneak-Peak’ Glimpse Of Harrigan’s Irish Pub’s Revamped Wedding Venue, featuring two stunning cake creations by Milk & Honey Cake Creative. 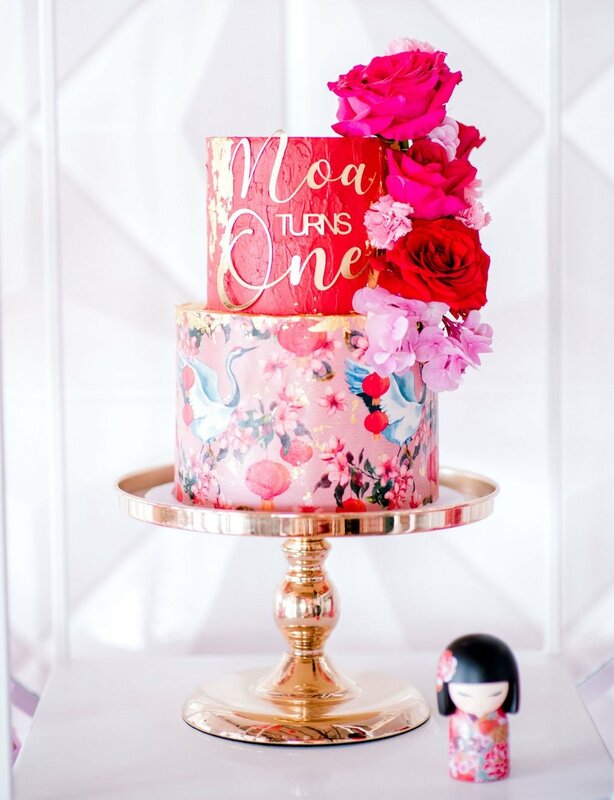 Noa’s Mum, Grace, is the owner of Milk and Honey Cake Creative on the Gold Coast. So, when her little girl Noa turned one, it was only natural for Grace to host a magical party to celebrate. And yep, you guessed it, there was a show-stopping, mouth-watering, talk-of-the-party kind of cake. 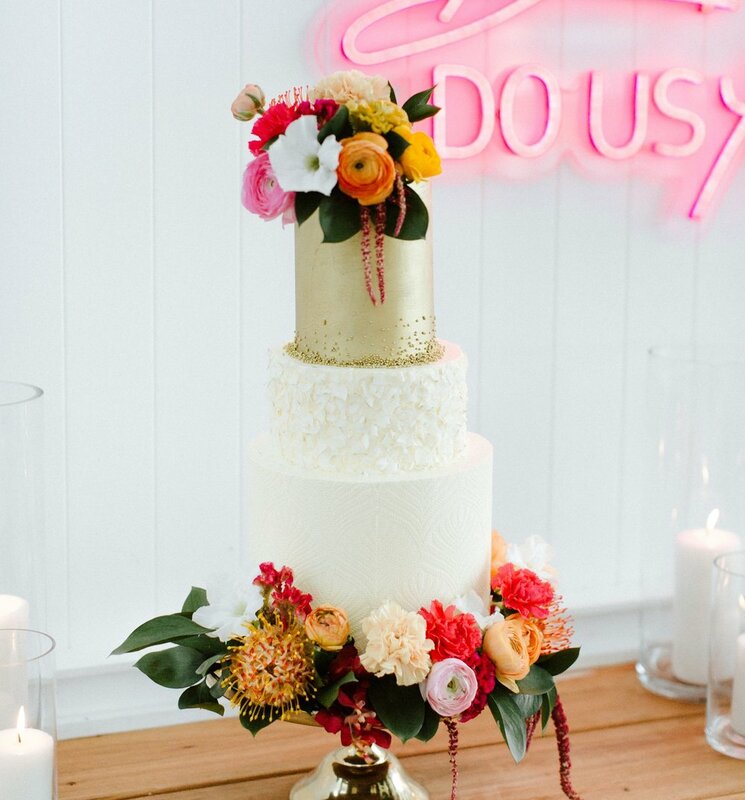 The cake featured in this zesty and fun shoot by Milk and Honey Cake Creative was a deliciously on-theme tiered passionfruit and coconut cake. The top tier was covered in gorgeous gold, the mid layer in a coconut flake ruffle hand-painted with a gold trim and the base layer stamped with a beautiful ornate pattern.